Two New Jersey teenagers who were hurt in the rampage in Times Square graduate from high school. Gus Rosendale reports. Two New Jersey high school students who were seriously hurt when a driver mowed them down in Times Square along with nearly two dozen other people have graduated even though one of them is still hospitalized. Dunellen High School seniors Destiny Lightfoot and Jessica Williams received their diplomas Wednesday. Lightfoot arrived for the ceremony in a wheelchair. 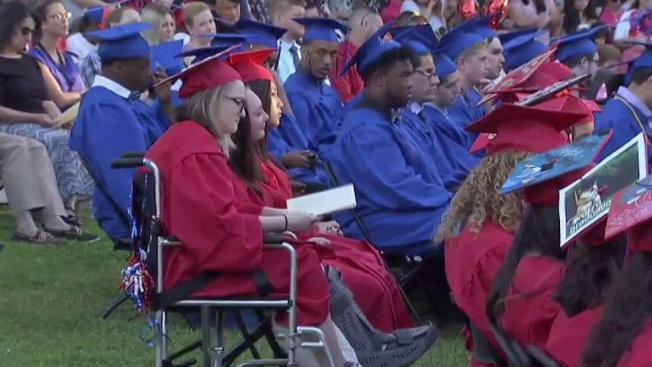 She stood with the aid of crutches to accept her diploma. She suffered broken bones in the rampage. Williams is still hospitalized and was forced to watch her last day of school streamed on a camera in her hospital bed. Her mother, Elaine Williams, received the diploma on her behalf. The mother wore the daughter's cap as she and Lightfoot received a standing ovation. "I'm a very proud mom," Williams' mother said at the graduation. "I wish she could have been here. I'm wearing the cap, she's wearing the gown." 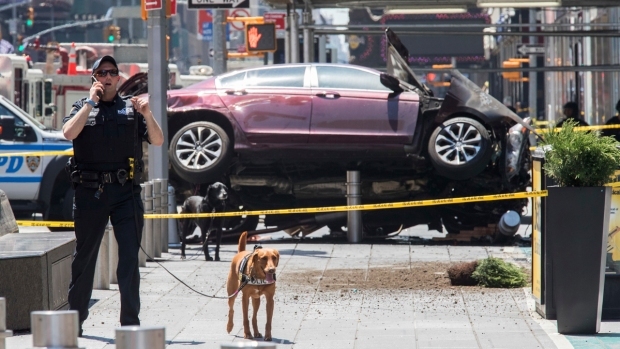 Richard Rojas is accused of killing one pedestrian and injuring 22 others by intentionally driving his car onto a Times Square sidewalk last month. He was arrested on murder charges. He says he doesn't remember what happened. Now, Lightfoot and Williams move toward happier days and the next chapter of their lives. "She's probably screaming in the rehab right now," Elaine Williams said.